Finally Central Park West stations get some attention. 72nd and 86th Street are incredibly disgusting. They need an elevator or escalator at those stations too. Those stairs are a B.
I would definitely agree there. 81 Street is the class of that line and the rest are not up to snuff. What's so different about ESI vs previous station renovations? USB ports and LED screens? And is this faster than normal station renovation? And if so, why is that? Yeah basically. The idea is that the station is closed for six months and the renovation is a design-build contract. There is also improved signage on street level and in the station and new covered entrances. From what I understand ESI is supposed to standardize new station renovations. IRT isn't getting any love? Wow. Take a closer look at Manhattan and the Bronx. 28 St, 3 Av-138 St, E 149 St, Brook Av and Westchester Sq on the , Pelham Pkwy on the , and 145 St on the . I'd love to see them do that but it would require an overpass to be completely removed, as there are two staircases at each end of the station which take up the full width of the platform. The ROW is also not wide enough to move the stairs further away from the tracks. Actually, no. The overpass at the north end wouldn't conflict with a potential platform extension. Did not see that sorry. Would the Package 3 rehabs mean R.I.P. to the IND mosaic tiles? From the renderings, it appears that the 70s refrigerator tiles aren't even being removed from the BMT 4th Avenue stations . I also created a thread on this. Moderators, could that thread be merged in here? That is one of the most disgusting stations on the subway system. It smells like an uncleaned bathroom. This topic is now pinned. Please refrain from straying off-topic. Looking at phase 2, I really hope they don't intend on closing all those Astoria stops at the same time. The local buses will not be able to handle the crowds trying to connect with the and at Queensboro Plaza or Astoria Blvd. Not to mention it really throws off the passenger distribution at those two stations. Do they generally close all directions of all stations at the same time? Maybe they could alternate direction of closing at each station. Shuttle buses are a must. The Q102 can't even handle 10% of the ridership, and the can't in good conscience expect to have people wait 30 minutes for a Q102 or walk to the Q100 to the west or Q101 to the east. I doubt they'll close all the El stations at the same time though. Looks like the 4th Ave stations are all being closed simultaneously. 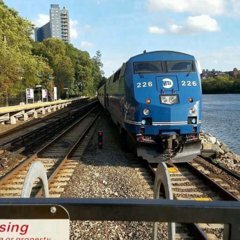 Will this also be the case for the Astoria Line stations (since they are all local stations)? Additionally, how will the MTA deal with awarding packages to stations that are the only ones on their respective lines to be renovated under ESI? For instance, 28 St (only station on Lex Av Line), 145 St (only one on Lenox Line), Pelham Pkwy (only one on Dyre Av Line).